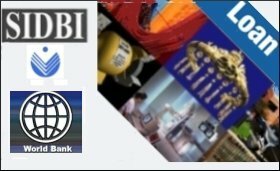 To help micro, small and medium enterprises (MSMEs) can raise funds from capital markets, the Small Industries Development Bank of India (SIDBI) has started fully fledged merchant banking operations, informed media. "The initiative would enhance access of MSMEs to capital markets including SME trading platform and institutional trading platform," said SIDBI. The financial institution has supported over 125 venture capital funds, and its merchant banking operations would help listing the investee companies in SME exchanges. SIDBI by virtue of direct credit assistance for nearly two decades has a good number of MSMEs which would like to list in the SME exchanges. "It is this strength that SIDBI would like to utilise by connecting the right investment opportunity to the funds and also would like to help these funds with exit opportunities at attractive valuations," the bank's deputy managing director, Ajay K Kapur said. He said significant increase in number of venture funds active in startups/ MSME space in past two years will create large pipe of fast growing companies seeking public markets. This will prove beneficial to the SME exchange as well as investors seeking liquidity or exit, he added.